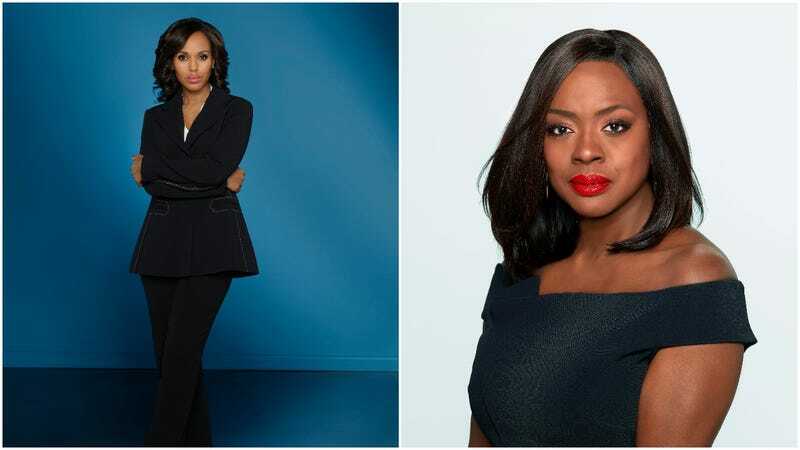 Good news for anybody who’s ever wanted to see what happens when Olivia Pope and Annalise Keating go head-to-head: Deadline reports that Shondaland stars Kerry Washington and Viola Davis have both been dropping hints about a possible crossover between their respective series, Scandal and How To Get Away With Murder. The duo each posted Instagram photos from each other’s sets this week, suggesting that Professor Keating might be stopping by Washington D.C. for a little investigation into Olivia Pope’s various violent affairs. (Not that Ms. Pope needs any help getting away with murder, mind you. Step One: Find a convenient chair.) The two proceeded to both post a screenshot of a script, purportedly from the already hashtagged #HowToGetAwayWithScandal. Once a subject of much derision, the much-mocked art of the TV crossover has seen something of a comeback in recent years, mostly thanks to the efforts of The CW’s Greg Berlanti and his delightfully interconnected superhero shows. If the ABC project happens, it’ll be the first time any of the various Shondaland shows have overlapped, just in time for Scandal’s final season on the air.